Reminder: I posted my blog sale up yesterday! A little while ago, I professed my love for lavender and lilac shades. I asked many of you what your favorites were in attempt to help fulfill my new found love for these colors. 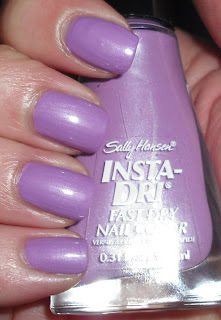 The polish that was mentioned the most was Sally Hansen Lively Lilac, so I went out and bought this beauty! The reason I have 2 photos here is because with a flash this color photographs more blue than it really is, the second picture is under a lamp which is definitely more color accurate. Lively Lilac is a light-medium lilac with a subtle shimmer. I would say this leans slightly towards the red side more than blue, even though with a flash it looks more blue. I don't care either way it's just what I'm looking for! I cannot get enough of these shades. I think I'm having a little blast from my past. When I was little my room was painted lavender it was my favorite color, as I got older I "poo pooed" it saying it was too girly. Bah, I lie I still love this feminine shade! Thank you all for the great recommendation! Lovely! We could be polish buddies I swear hahha! We love all the same types of shades. The only thing I hate about the insta- dri's is that Brush... Ugh that brush! I haven't tried a lilac polish yet, but this one looks so nice! Very pretty!! I might have to buy this.. I'm on the committee for our yacht club's spring dance and the colors are lilac and yellow.. Hmm!! Love it! Looks great on you. I love this shade, I'm gonna need a new bottle of it soon. It's one of my go-to's, especially since it's one stroke and go if you're in a hurry! 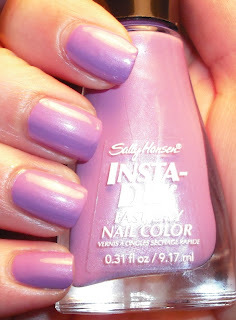 My favorite is still Essie's Lilacism, though. I have this and I LOVE it...it's so pretty! This looks beautiful on you. 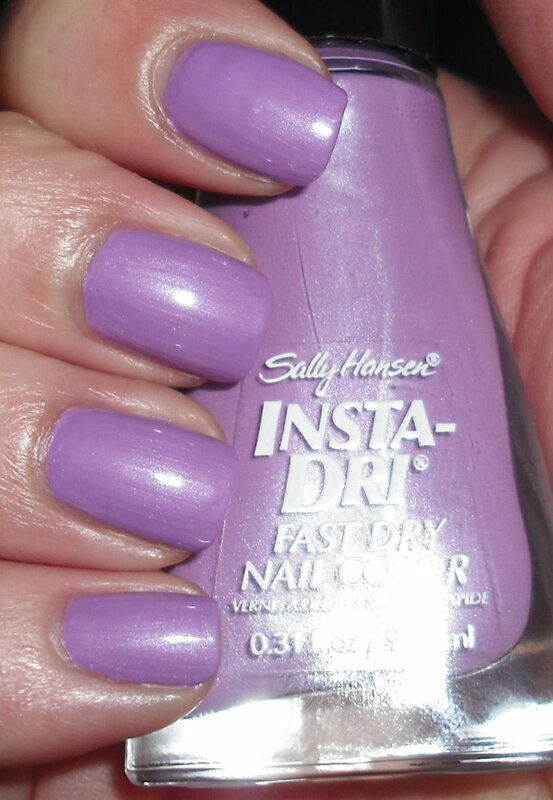 I love lavender polish, too. In fact, I think this is one of my favorite colors in general. Unfortunately, I find the brush on SH IDs to be unbelievably hard to use. They are like mops.